Trigger finger is a condition when a finger joint locks or catches when trying to extend or straighten the finger after flexing or bending it. This is due to inflammation of the tendon sheath that covers the tendon. When the sheath becomes inflamed it pushes on the tendon forming a nodule or bump on the tendon. This nodule prevents the tendon from gliding through the tendon sheath when moving the finger, thus causing the finger to get stuck or catch. People can flex or bend their affected finger without any catching, but have difficulty extending or straightening the finger because the flexor tendons are stronger than the extensor tendons. Thus, the flexors can pull the nodule through the inflamed tendon sheath, but the extensors are not strong enough to then pull the nodule back through the tendon sheath causing it to catch or become stuck in a bent position. Watch a video here. Who is most commonly affected by trigger finger? Trigger finger is most commonly found in the ring and thumb of the dominant hand but can occur in any finger. It occurs more commonly in adult women, but can also affect men and children. People with diabetes and rheumatoid arthritis are at a higher risk of developing trigger finger. Also, people whose jobs or hobbies include repetitive hand work or prolonged gripping are at a higher risk for developing trigger finger. A physician will diagnose trigger finger by assessing for catching or locking of the finger when extending or straightening the finger after flexing or bending it. They will also feel for a thickening of the tendon sheath or a nodule at the base of the finger. 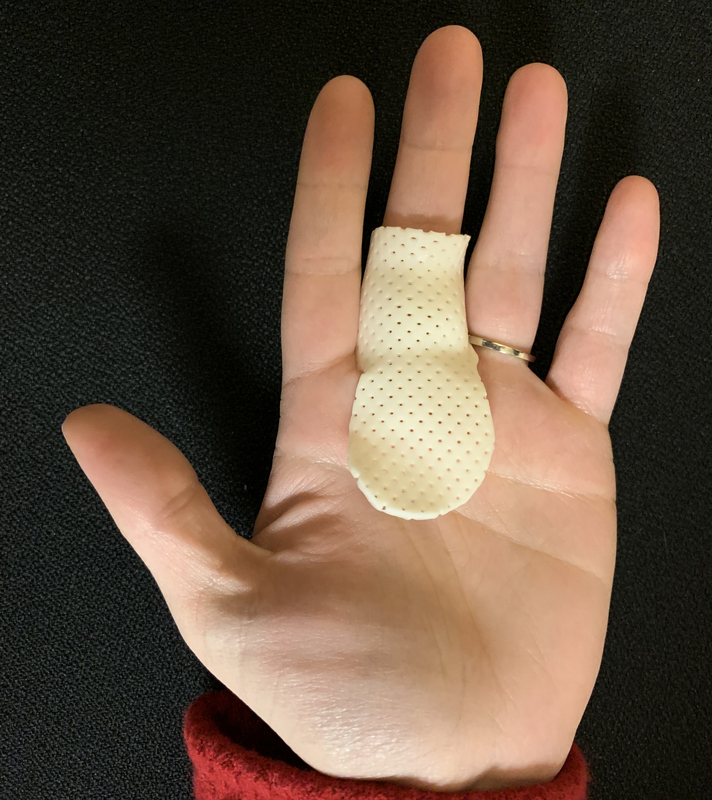 Conservatively, there is evidence to support that a splint worn at all times to prevent flexion or bending of the finger at the MCP joint (knuckle joint) will limit tendon gliding necessary to decrease inflammation. This splint should be worn for 6 to 10 weeks. You will take the splint off throughout the day to passively move the MCP joint (knuckle joint), there should not be any catching with the passive movement. It is important to make sure not to actively move the joint causing it to catch or become stuck in order to decrease inflammation. While wearing the splint, continue to move PIP and DIP joints to prevent them from becoming stiff, movement of these joints should not cause any catching or locking to occur. MCP blocking splint. Used to prevent the finger from bending at the knuckle joint. If conservative treatment is not helping reduce the triggering, your doctor may recommend surgery. The surgery performed releases or cuts the A1 pulley (tendon sheath) so that the nodule does not continue to get stuck when extending or straightening the finger after flexing or bending it. After surgery is performed it is important to apply Ice and elevate the hand to help decrease swelling. It is important to seek therapy services to help return range of motion and strength to the finger and prevent the scar from adhering to the tendon underneath it. If the scar is hypersensitive, therapy services can also help with desensitization. If you have any questions regarding trigger finger or are seeking treatment, contact any of our locations for more information.